There you are in the middle of the forest, high up in the mountains. You cannot decide where you are on the map. So you reach down for your compass—a relic that weighs a ton and inaccurately points NW. Hiking tools, like compasses, have gotten an upgrade throughout the years. 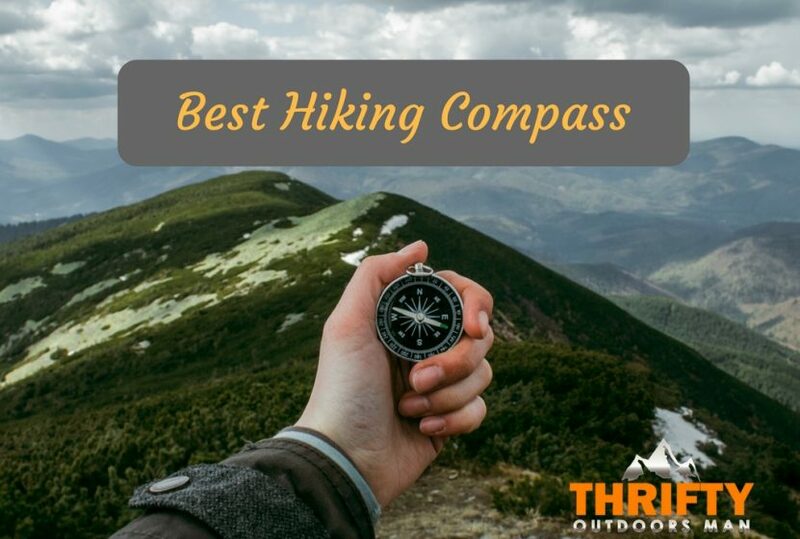 With all the options choosing the best hiking compass can be hard, so here is how to pick the one that suits you perfectly. Even with modern conventions like GPS transmitters and cell phones becoming increasingly popular for short day-trips, nothing is more reliable than a decent compass. A compass is, in fact, one of the Ten Essentials on the list created by The Mountaineers in the 1930s. The best compass for backpacking should never require a battery or crack when dropped! There are two main types to choose from: a base plate compass or a digital compass. Digital compasses are great for shorter excursions, but again, relying on a battery has known disadvantages. Plus, digital compasses cannot be incorporated into map work. Another option you might consider, but should steer away from, are those quarter-sized key-chain compasses or watch compasses. Those are rarely even useful for orienting yourself to north. I do not recommend them. Generally speaking, all beginners should learn how to use a base plate compass. I personally think these kind are the most reliable, come in various styles, and they also do not weigh much. 1. ​Baseplate: Although probably obvious, this transparent plate is where this type of compass gets its name from. There are colors available, but clear is best in my opinion. That way, you can make out the markings, like the ruler for measuring distances on a map, more easily readable. Also, a ruler marked in millimeters will be the most useful, as this scales better with USGS topographical maps. These are the must-haves on every compass. Other extras that might be useful to you but are not totally necessary include a magnifying lens and luminescent indicators. For those hikers who like tackling mountain challenges at night or find themselves out in the wilderness beyond sunset, luminescent arrows are a boon. Clinometer: What exactly is a clinometer (also called an inclinometer)? This is a useful tool for when you need to measure the accurate height or slope of something in comparison to where you are standing. For those backpackers and cross-country skiers who tackle icy, snowy slopes, a clinometer helps when assessing the risk of avalanche. Search-and-rescuers also like to carry clinometers. Declination Adjustment: Because compasses, even the most simple, point to the magnetic north pole, anyone who walks or hikes trails could make use of this tool. Declination adjustment attunes to the secular variation in Earth’s magnetic waves, so you are also headed towards north. According to the Appalachian Mountain Club (AMC), because the difference between “true” north and magnetic “north” varies “anywhere from 0 degrees to 30 degrees or more,” declination adjustment will provide you a better orientation than a compass without it. You will know if a compass features declination adjustment when looking at the edge of the bezel. There will be a small, dialing screw. Most of the time, it is only more expensive compass models that allow for declination adjustment to be set manually. Sighting Mirror: For those who like blazing their own trails or who require precision when navigating, a sighting mirror allows for you to both see your target and keep watch over your bearing simultaneously. Beyond those functions, a sighting mirror folds down over the compass like a clam shell to protect it from weathering. Secondly, a sighting mirror comes in handy during life or death situations, like falling down into a crevice and using the reflection to signal down a rescue helicopter. Global Needle: International hikers and backpackers should use a Global Needle, because these compasses can be used anywhere in the world by automatically adjusting to the varying magnetic zones. The other advantage is that the needle tilts up to 20 degrees, meaning as you walk, the compass reading remains level. Depending on the model type and your budget, some compasses may contain all of these features or only one. However, the usefulness of these features are also contingent on the kind of hiker or traveler you are. Lastly, when you choose, also think about your choices in terms of size, shape, and durability. The best hiking compass for you may not match up with everyone else in your traveling group. For size, carefully consider how it hangs around your neck by lanyard or if it can be hung elsewhere by a carabiner. If you need a more readable compass, a bigger face size might be important to you. In terms of shape, think about where you will be using the compass and how that shape may affect your grip. When looking for a no nonsense, cost effective compass that gets the job done and is sure to last, the brand that comes to mind is certainly Cammenga. This compass, otherwise known as the CS 27, is a rugged clamshell design that is half the price of the more expensive model coated in tritium (for self-luminosity). Unless you are in Black Ops, that is not really necessary. Regardless, this is one of my favorite brands and is one I recommend frequently. Cammenga simply combines superior quality with honest pricing, and despite all the abuse, these compasses rarely break. The MC-2G calls itself a global compass for mountaineers all around the world and is crafted for advanced navigation. Considering the amount of features that come with this Suunto compass, you do indeed get what you pay for. Though I have found there are some slight issues with the lid closure sometimes not fitting correctly or the luminou dial fading, when you need an exceptionally reliable bearing that works anywhere, the negative points really fall by the wayside. A compass that adjusts swiftly to wherever you find yourself is not only fantastic on the slopes, it can save your life in the worst scenario. Despite a few minor design hiccups, the MC-2G Compass by Suunto is still a very good compass. Suunto definitely makes wonderful quality compasses, and the features included in this model prove that. Although sometimes clumsy to use and a little bit hard to use for first-timers, the precision of the global needle and additional speed of the dampening time, is just remarkable. For the cost, the Silva Polaris Compass is a decent buy when learning how to mountaineer. Because of the lightweight, slim profile and clear base plate, the compass is very easy to read. Another plus is the remarkable scaling and precision of the degrees on the ring and the orientation lines. Because the compass comes with a map, anyone who is practicing how to find their bearings on paper can practice anywhere. I find this to be a decent starter compass for kids, especially because younger hikers tend to be rough on their equipment. While the Polaris Compass is not entirely built to last, if it breaks, it is not a huge loss. With all pros and cons, with emphasis on the last bullet, the Polaris Compass is still a good buy. What you get with this compass is a decent practice tool that can be used to get comfortable with mapping reading and navigating light terrain. Also being able to learn how to use declination adjustment on an easy to read bezel is a plus. However, the major issue dragging down the score is the less than average durability. This is certainly not a compass that will endure rough handling and last for years and years. Silva has long been a trusted brand in the compass world, and many swear by their classic Ranger models. With the upgrades given to the Ranger 515, you can expect that continued quality without sacrificing a huge sum of money. The compass is built to provide anyone, from beginner to seasoned adventurer, the proper bearings and sighting accuracy required to get through the wilderness. I think an excellent feature the Ranger 515 is the built-in declination adjustment that allows you to set for magnetic north wherever you go. Plus, it is compact and lightweight, which means a lot to those who like ultralight gear. In terms of functionality, you really cannot ask for more form the Ranger 515 Compass by Silva. The inclinometer, sighting mirror, scales, and easy to read styling are truly top notch. There are some styling issues, though, that detract from the value a wee bit, otherwise a solid pick for our best compass for hiking guide. That would be the overuse of black, which makes some parts of the compass hard to read at night (even with the luminous strip). Otherwise, a fantastic compass for everyone, everywhere. Solid buy. The user manual does not discuss how to use the clinometer. The “G” in the M3G name stands for “Global.” Being that this is a global compass that works anywhere in the world, it is perfect for adventurers, soldiers, and world travelers who undertake serious wilderness challenges. I found the luminous rings to be highly legible at night, making the M3G by Suunto ideal for those who spend a lot of time moving in the dark. Above that, would be the tremendous precision of the needle. If you get lost using this compass, you probably are not using it at all. Pair this compass with a topographical map, and you are set to explore. Because of the ease of use and durability of construction, the Suunto M3G Compass made it on our list with a good rating. Anyone with a passion for navigating the wilderness will find this to be a great edition to their Top 10 Essentials. The lightweight and thin design is really what boosts this compass so high in ratings. For those who do not want to lose quality for a protective outer shell, this compass offers both. It really is a fantastic compass for anyone. This simplistic yet highly functional compass by Brunton shows that price does not have to compromise features. 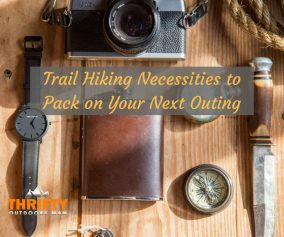 I think this is a great choice for people who are newly breaking into hiking and want to practice basic navigation skills, because there are no overly complicated functions. What you need is what you get. Worth mentioning is that with Brunton, you get quality at a very decent price. Brunton compasses are known for their reliability and longevity. That said, the TruArc 3 Base Plate Compass does have a few missing features that exempt it from overnight camping and harsh conditions. With that in mind, my overall rating for the Brunton compass is 4.6 stars. 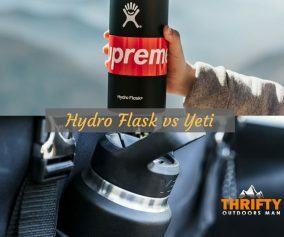 The portability and minimalistic design are huge pluses for beginners, but some design points may not satisfy more experienced hikers looking for advanced settings. Generally speaking, a compass of this grade and functionality usually tend to go for a lot more on the market, but this Eyeskey model is usually around 30.00 USD. One first glance the compass looks slightly confusing, as there is a lot of features. 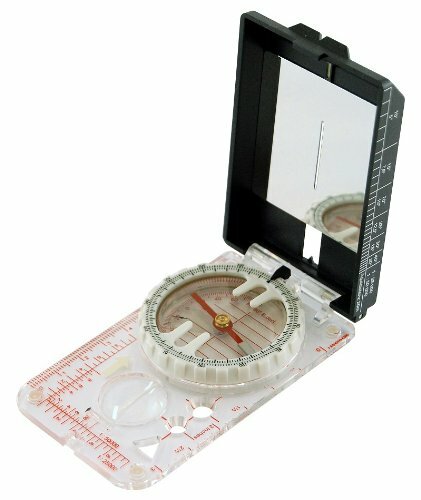 For the seasoned hiker and compass-user, this compass is quite a good fit. The readings are precise, the sighting mirror heightens accuracy further and helps for navigation, and the superior durability makes it a smart buy. Two things that I do not like, though, is the lack of declination adjustment and bulk. Although the Multifunction Military Army Sighting Compass is great for those with experience and an understanding of terminology, beginners should steer clear. That is my sole warning. Aside from that, this compass by Eyeskey does exactly what it sets out to do: provide accurate readings for great navigation, even in the dark. The styling and quality of the construction not only looks fantastic, it resists shattering, dinging, and other types of damage. For those die-hard hikers, mountaineers, and thrill-seekers who need to keep their hands free, Suunto has created a decent wrist compass for you. The key here, however, is that this compass only works in said northern hemisphere. This is a compass that I would recommend for journeys that require more than just walking. Mountain climbers, white water rafters, and scuba divers could all benefit from this compass, because simply put, you do not have to hold it. I also was overjoyed to find out that this compass can be worn with any watch or wrist band, just not the one it comes with. Otherwise, styling is simplistic, but the compass does its job perfectly. This model has a lot going for it in terms of functionality without ever becoming cumbersome. Despite the need for some experience and the lame wristband, the compass itself is priceless. Contrary to popular belief, just because something says “military-grade” does not make it great. But, then I picked up an Under Control Tactical and released the difference between other models and this one. I was skeptical, because of the price; but this is a nice piece of equipment. Plus Under Control Tactical is a trusted name. However, for those that are looking for supreme accuracy, a global needle, or an inclinometer, this compass is lacking those special features. If you do not plan on measuring the height of mountains and trees or slogging through water, the Military Grade Sighting Compass by Under Control Tactical is decent. 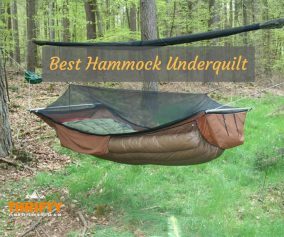 Functional, dependable, and sturdy, as long as you stay on dry land and want to keep your bearings, it is a satisfactory choice. The simple design is great for those who are solely looking for north or want to have a compass handy for emergency situations. One thing that sets Kasper & Richter (K&R) products apart from the crowd is the ability of their products to withstand subzero temperatures for extended periods of time. Not every outdoorsy person needs a compass base plate that will not become brittle in the freezing cold or a liquid-filled capsule that does not bubble, but if you do, then there is nothing more fitting than the Alpin series by K&R. I can definitely picture myself using this compass on the snowy slopes of Everest, for example. When you need a compass that is absolutely impervious to the cold, get an Alpin Metric Compass. 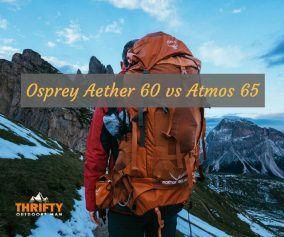 While I cannot say it is better than army gear for hotter conditions, I can recommend the Alpin series for outlasting the cold and guiding you to the summit and back to base. Aside from that, the array of features makes the K&R a smart buy, purely because you know that this compass will not fall apart after a single use. Nor will it guide you astray. The varieties of hiking compasses out there can make choosing the best one for your activities a flustering event. Keep these factors in mind: basic and additional features, as well as size, weight, and durability. For me, that means the winner of this roundup for the best hiking compass is the M3G by Suunto. I would choose this compass because it adheres to the must-have features while including several extras that balance price tag with superior quality, size, and ease of use. Now that you what to look for and some of the most cost-effective and reliable compasses on the market today, your decision is hopefully easier!